Finola Scott’s poems are widely published in anthologies and magazines including The Ofi Press, Raum, Dactyl, The Lake, Hark, Poets’ Republic, The Eildon Tree. 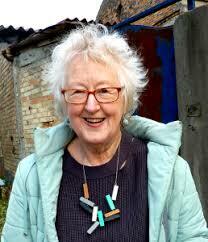 She is mentored by Liz Lochhead on the Clydebuilt scheme. A performance poet, she is also proud to be a slam-winning granny.